The city administration is scheduled to build a low-cost apartment (Rusunami) in the near future. To optimize it, PT Bank Tabungan Negara (BTN) will be involved.
" 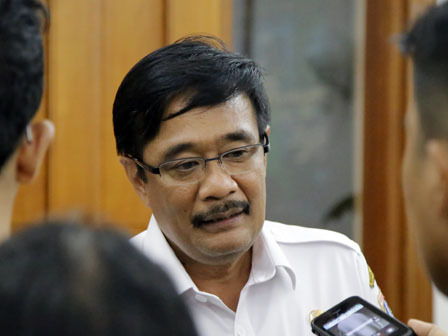 We'll cooperate with BTN to build rusunami"
"We'll cooperate with BTN to build rusunami," said Jakarta Vice Governor, Djarot Saiful Hidayat after he welcomed a visit of PT BTN, at City Hall, Wednesday (8/24). He explains, at this time, rusunami is a priority program for low-income people in Jakarta. Unluckily, it is still hampered by technical problem. Through BTN, they could move to rusunami, especially those living in flat or slums. "Automatically, our some flats will empty thus it can be occupied by people who live nearby the riverbank," he stated. Djarot disclosed, the city administration would provide a land for rusunami project. While BTN, will provide fund to realize it. As an input, he added, if the land is located in middle of the city, BTN must build rusunami with vertical shape. "This is not spoil residents, but to help them thus could improve their ability as well as could live a better life," he finished.